All the Muslims are encouraged to learn to read the Quran in Arabic. Reverts, like me, would start with the translation into our own language. As we know, however, no translation can fully convey the message of the original - especially in case of such a complex language as Arabic. Hence, to get the best understanding of the actual text, we all aim to learn to read the Quran in its unaltered form. I currently have zero knowledge of Arabic. Well, so far I had a go at learning the alphabet ;) But to read the Quran we need to know the Tajweed - a set of rules governing the correct pronunciation. A while ago I was contacted by lovely sister Tahera, founder of the Olive Tree Study Support - a weekend Islamic school. Following the struggle to teach the children these complex rules, she came up with the idea for Tajweed Nursery Rhymes, and kindly invited me to check them out. It all started, when she realised that as adults we all tend to remember the nursery rhymes we learned as children. Why? Because they are catchy and simple. 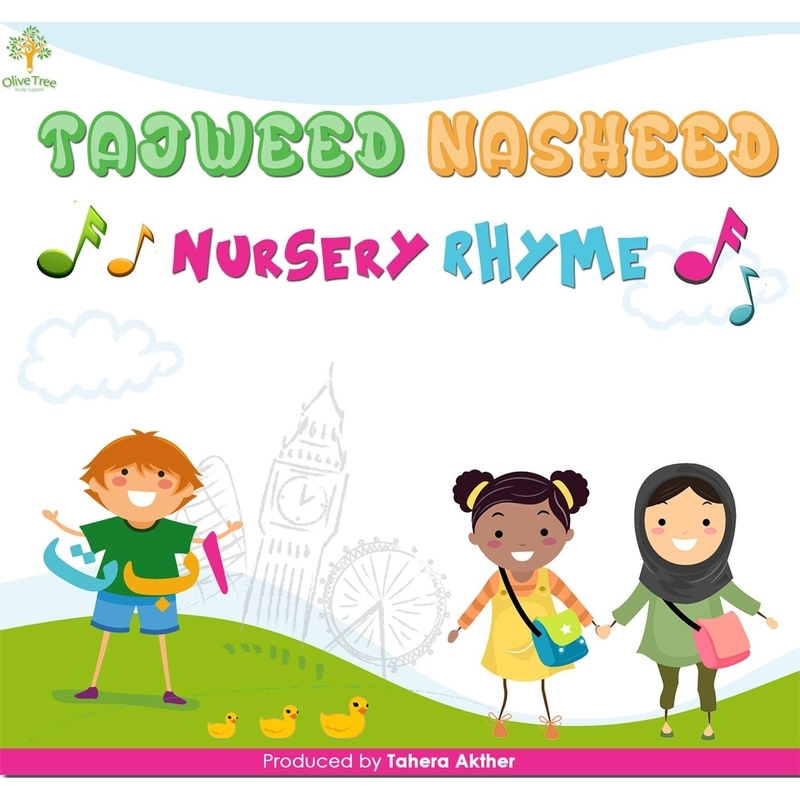 Inspired by children's rhymes, she wrote up the tajweed rules in simplified form, added some catchy tunes, and had them recorded in the form of nasheeds. They've been tested at the Olive Tree, and turns out that the children were able to memorise these rules much more easily.